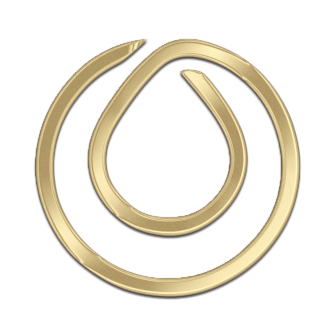 The Chairman’s Award recognizes a Market Partner at the rank of Market Mentor or above who is nominated by the field. 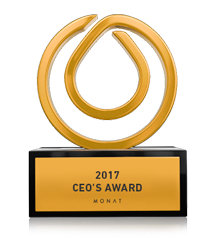 The winner exemplifies MONAT’s ideals of gratitude, benevolence, community service, humility, philanthropic efforts and leadership. In every way, the recipient of the annual Chairman’s Award is someone MONAT Market Partners can look up to emulate. She has adopted two children and was a proud foster mom for three years. In addition, she commits her time and resources to help prevent child trafficking through JOY International, an organization that rescues trafficked children, teens & young women and helps them find healing and resources. She educates the community about trafficking and invites others to help raise awareness. Amy feels that MONAT has given her an avenue to give back and she is excited to see her team embracing this spirit in their work as well. The MONAT Performer of the Year is a Market Partner at the rank of AED+ and who has been with MONAT for more than a year and is chosen based on a point system. Points are earned by placing 1st, 2nd, or 3rd in any of the categories recognized at the annual Dream Bigger Gala. The Director with the most amount of points will earn the CEO’s Award that year. This person demonstrates unshakeable commitment to growing his or her MONAT business, overcoming obstacles and showing others how to also find success. Kendall has consistently set her goals high and excels in every aspect of her MONAT business.As a testimony to her success and leadership she is the director with the MOST promoted out Managing Market Mentors in 2017, and top 3 in Group Volume for 2017. It was evident early on that Kendall would be a top contender for this elite honor after she joined the MONAT family in August 2016 and achieved the level of Senior Executive Director in only 7 months. She continually demonstrates unshakeable commitment to growing her business, overcoming obstacles, and showing others how to excel. With just about a year and a half with MONAT, she has had nothing short of amazing results! The Market Partner of the Year is our Rookie of the Year Award. This Market Partner, who has achieved the rank of Director, exhibits success in building his or her business in both customer and organizational growth and MONATtitude! The winner is recognized for leading by example, serving the organization, demonstrating a great attitude and supporting others. This Market Partner embodies what every MONAT Market Partner should strive to become. To qualify for the President’s award, a Market Partner must be AED+ and have been with MONAT for less than a year. The recipient is defined by points, which are earned by placing 1st, 2nd, or 3rd in any of the categories recognized at the annual Dream Bigger Gala. Sarah Hill signed up with MONAT in April 12, 2017. She has truly led by example in a short time. She invested in her business’ success and demonstrated a great attitude while supporting the members of her team. Sarah is one of our TOP partners as of December with ONLY eight months in the business! Sarah has been featured on the cover of the Dream Bigger Magazine, and during our 2018 Leadership Summit she placed in the top three in four out of five categories within the Director ranks. She embodies what every MONAT Market Partner should strive to become.